From its lush rainforests to its golden sandy beaches, Ghana is a land of immense natural beauty. On this journey through one of Africa’s friendliest nations we experience its diverse and rich culture, visiting vibrant markets, traditional tribal villages and the striking mud-stick mosques. We also visit the impressive Gold Coast Portugese forts. 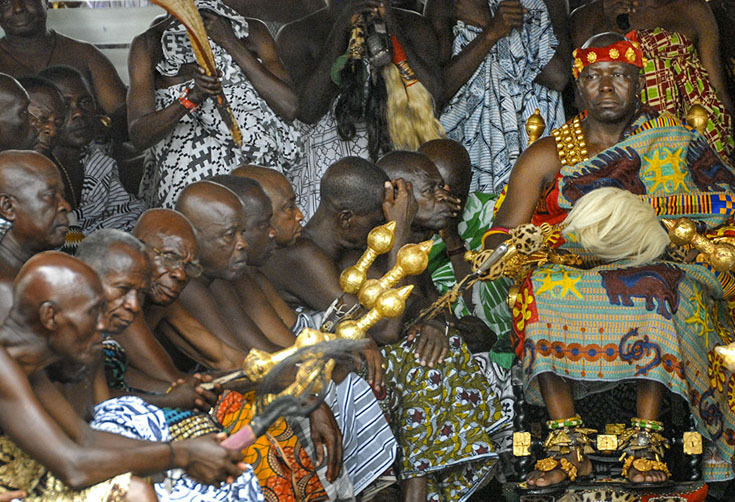 The tour is timed to coincide with two of Ghana’s most significant festivals; the Millet Festival; which happens every year during the harvest period and the Awukudae festival; that offers a unique opportunity to attend a highly colorful royal ceremony in one of the last African kingdom to have kept unchanged all of its rituals. Early morning flight with Turkish Airlines from London Gatwick via Istanbul, arriving into Accra in the early evening. Transfer to the Novotel hotel.